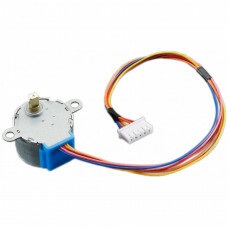 This is a 5V high torque 4 Phase stepper motor with more than 2000 steps per revolution. It has enough torque to move small robots. The motor can be connected with gear shaft and propeller.